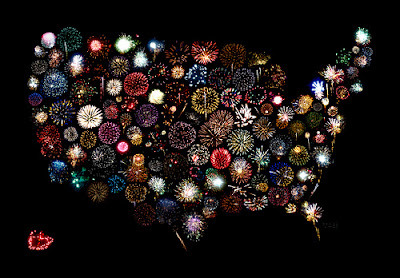 Happy Fourth of July everybody! I hope you all are having a great time with your friends or family. We celebrated Fourth of July at my Aunts house last night, and it was also my little cousins fifth birthday. 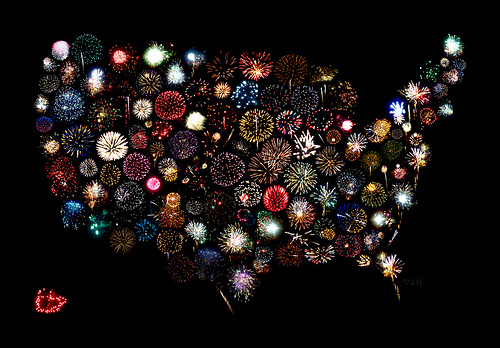 I'm hoping to find some sort of fireworks show to go to tonight. I can usually see them from my house but I haven't been to an actual show in two years! What are your plans for tonight? Your photos are so nice! The dog is adorable. Looks like a great weekend! We are grilling tonight and watching fireworks. Natalie-A bonfire sounds like so much fun! Ae-Perfect 4th of July evening it sounds like! Oh my goodness! It's been forever since I've visted your blog! I was finally able to get it to let me follow! Yay!! SO now I'll be back all the time. haha! Everyone looks amazing in your pictures. And your cousin's birthday cake is beautiful.